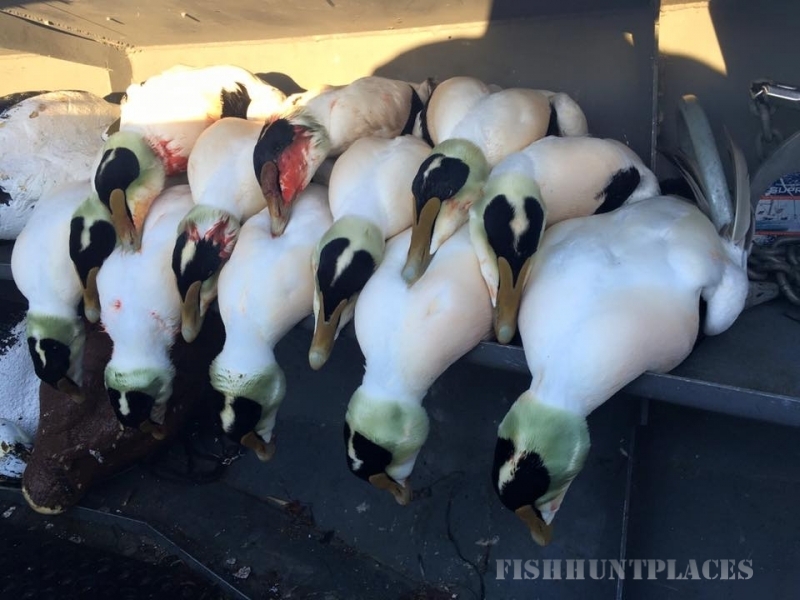 Ocean State Outfitters specializes in sea duck hunting by harvesting mature, trophy Common Eider, Old squaw, diver ducks and all three species of Scoter. 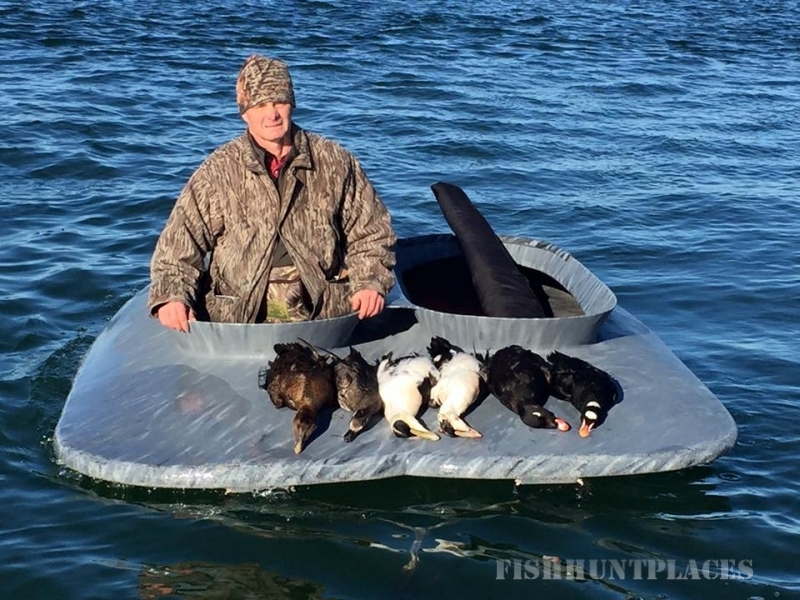 Our hunts take place in Rhode Island, Massachusetts and surrounding New England areas where our vast majestic shore-line provides prime habitat for Atlantic Flyway Sea duck hunting. 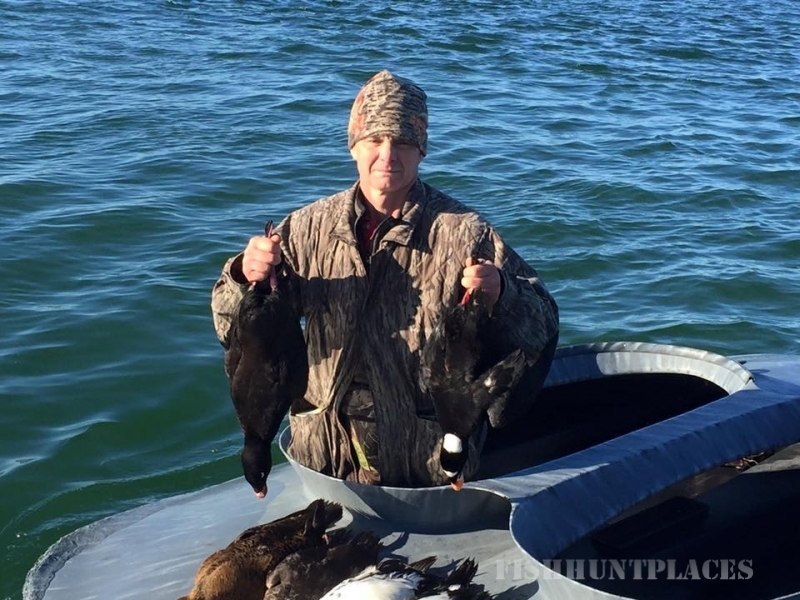 Captain Jeremiah Brooks will personalize your sea duck hunt targeting any species of duck; within our part of the Atlantic fly way. 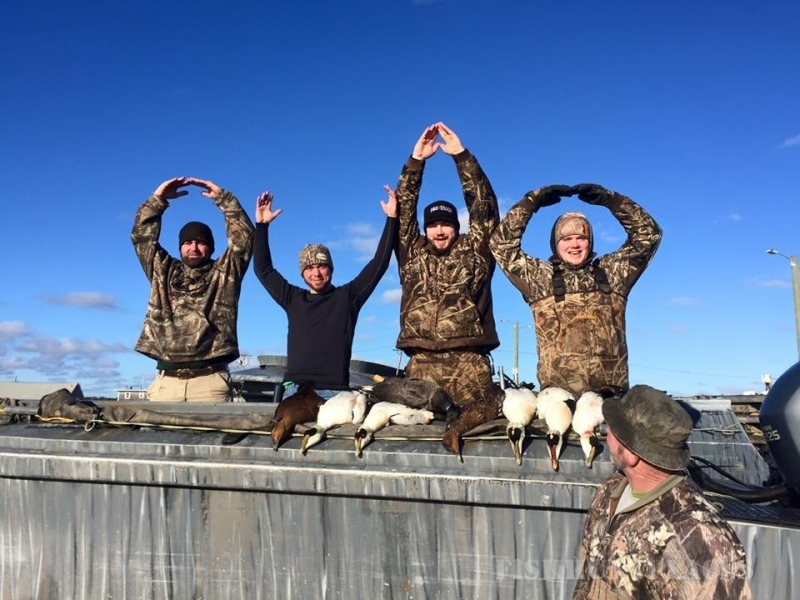 Our goal here at Ocean State Outfitters is to assist you in harvesting the sea ducks and other waterfowl you need to complete your trophy room, or would just enjoy hunting. 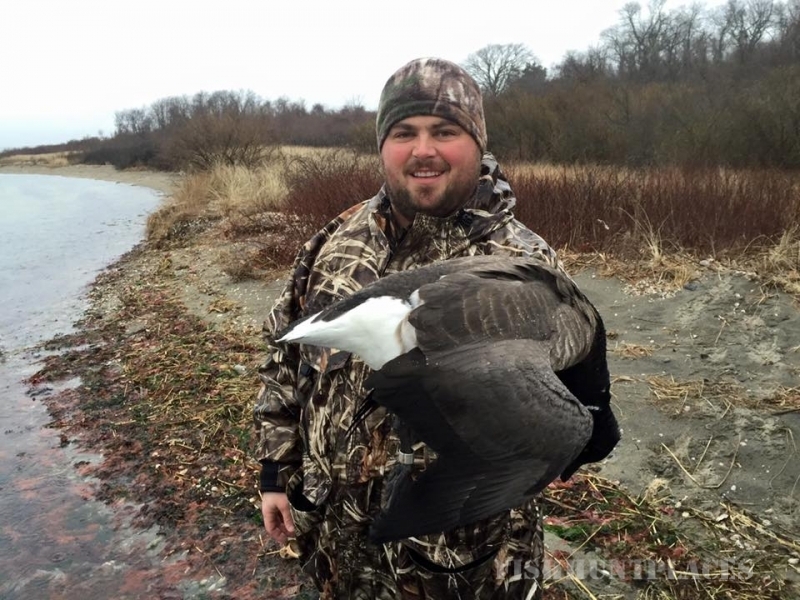 Whether you’re looking to go trophy sea duck hunting, puddle duck hunting or put the hammer down on some huge Canadian Geese, OSO has the prime locations and top guides for sea duck hunting in Rhode Island, Massachusetts and surrounding New England areas. 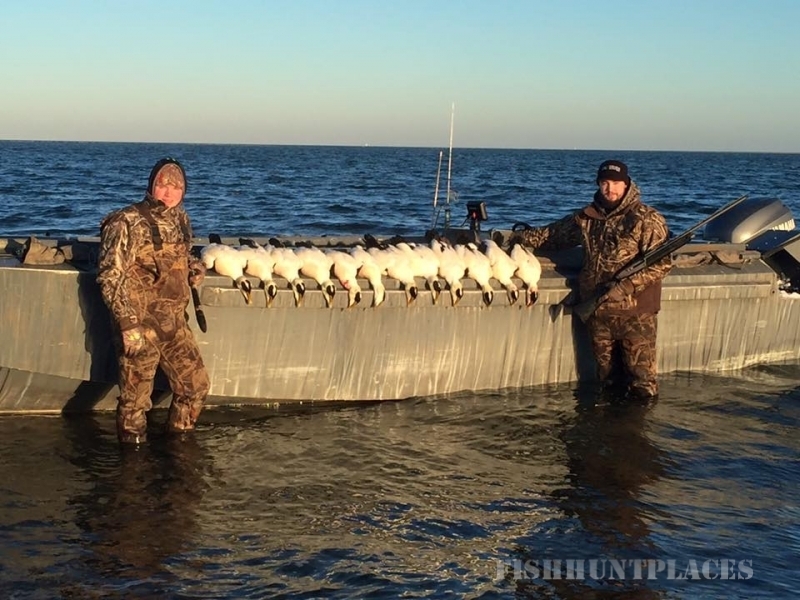 Feel free to give us a call to arrange your next sea duck hunting adventure. Once on the boat, the Captain will greet you and give you a rundown of the safety features of the vessel, brief you about the weather forecast for the day, and layout the plan for the days fishing adventure. At this time you should inform the Captain of any health/safety concerns you may have. You will then leave the dock to begin your day of fishing. Once you arrive at the Captain’s chosen fishing destination, the crew will instruct you regarding fishing tackle and technique used for the particular type of fishing. 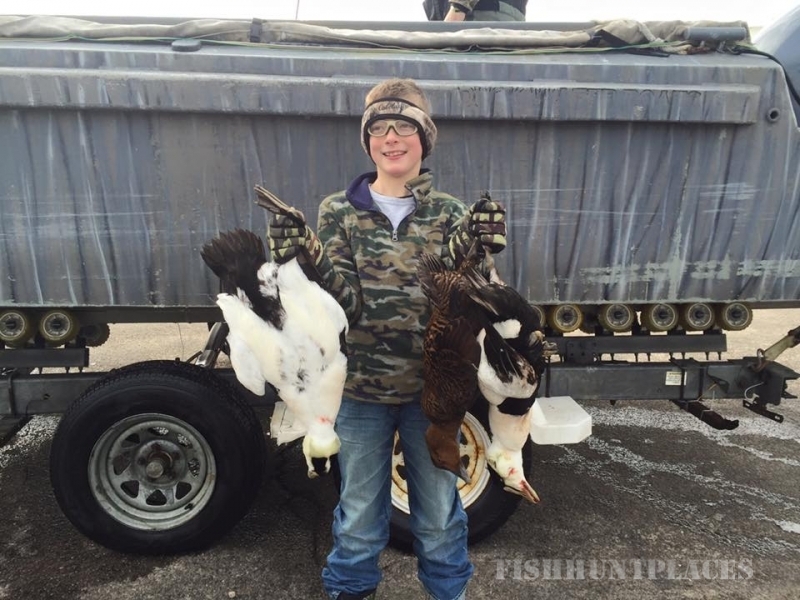 Our fishing trips are hands on adventures and you will be encouraged to hook your own fish. The Captain and crew will net/gaff your fish. If you are not familiar with the particular type or style of fishing our friendly crew will gladly guide you every step of the way. Once your day of fishing is complete, the boat will leave the fishing grounds in time to return to the dock. On the way back to the dock your crew will gladly hang your catch for a photograph.